The son of an enhanced Angosian war veteran and a psychotherapist, science officer Tarsii Asmara was born with genetic instabilities and overly aggressive behavior that nearly threatened his life. Fortunately, when he was seven, it was discovered that the implantation of a special chip into his brain would allow Tarsii to suppress his aggression and restore the physiochemical balance of his body. The treatment was successful but wasn’t without its side effects, two of which were the loss of all body hair and accelerated aging. Because of this, when he graduated from Starfleet Academy, he appeared to be nearly double his actual age of 24 at the time. Congratulations to Lieutenant JG Asmara! His bio will be displayed on the wiki’s front page during the month of October. 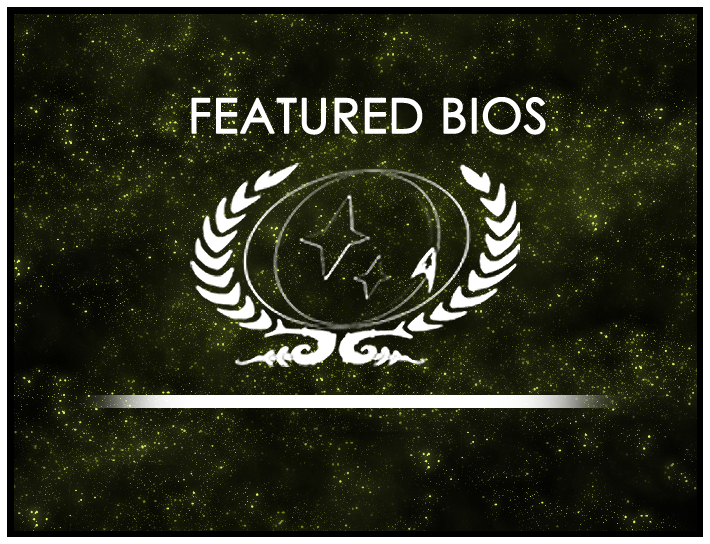 Our Featured Nominee this month is Doctor Sundassa of the USS Apollo-A.